Update: Android Wear 2.0 now available for ZenWatch 2 as well. Asus Zenwatch 3 is finally receiving the latest Android Wear 2.0 OTA update based on latest 7.1.1 Nougat OS. The OTA is rolling out regionally for the ZenWatch 3 at the moment. 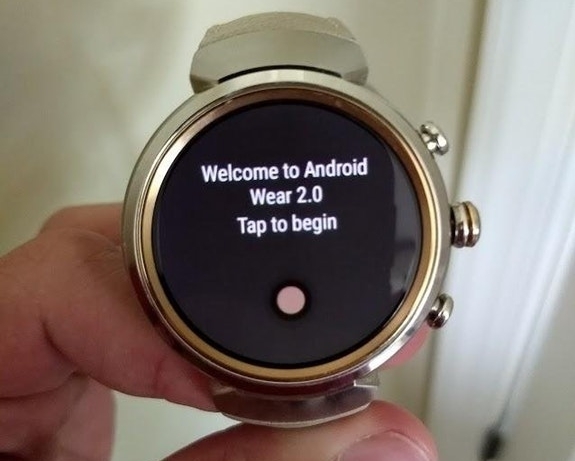 It will soon be released for the ZenWatch 2 as well. Yesterday, Asus Germany announced that AW 2.0 is ready and rollout begins in the evening. So today, with the Android Wear 2.0 OTA update captured for Asus ZenWatch 3, we have confirmed the same. Android Wear 2.0 for Asus ZenWatch 3 and 2 is based on the latest Android 7.1.1 firmware. It comes with new features, Nougat goodies, stability improvements, and the latest security patch from AOSP. According to Asus Zentalk, the ZenWatch 2 will be receiving an OTA update for the model ZW2 WI501Q in July itself. Whereas, the OTA rollout for Asus model ZW2 WI502Q is expected in August. This update is followed by a number of smartwatch Android Wear 2.0 updates for Huawei Watch, Fossil watch, Moto 360, and much more. For Asus Zenwatch 2, you can check out how to install capture OTA update for Android Wear from here. How to Install Android Wear 2.0 OTA update onto Asus ZenWatch 3? Usually, you will receive the OTA notification right on your Asus ZenWatch interface. Go to Settings and check for updates. However, as the OTA is rolling out regionally, not every device will receive it at the same time. Hence, you can manually update by downloading the OTA update zip file from above and flashing it via ADB sideload method listed below. This is a manual method to sideload OTA updates on most of the Android devices. If you happen to choose this method, then you will need the to connect your device to PC and setup ADB and Fastboot. Go through the requirements and instructions carefully. 1. The listed firmware is compatible with Asus ZenWatch 3 only. 2. Enable USB Debugging from Developer Options on your device. To do so, go to Settings > Developer Options > enable USB Debugging from there. 3. Easily setup ADB and Fastboot on Windows, Mac OS, Linux or Chrome OS from here. You may also like Universal ADB drivers. Step 1: Download the OTA zip file from above transfer it to your PC, Mac Book, or Linux machine where you can easily locate it. Step 2: Make sure that you setup ADB and Fastboot on your PC. Trust the connection when you connect Android for first time. 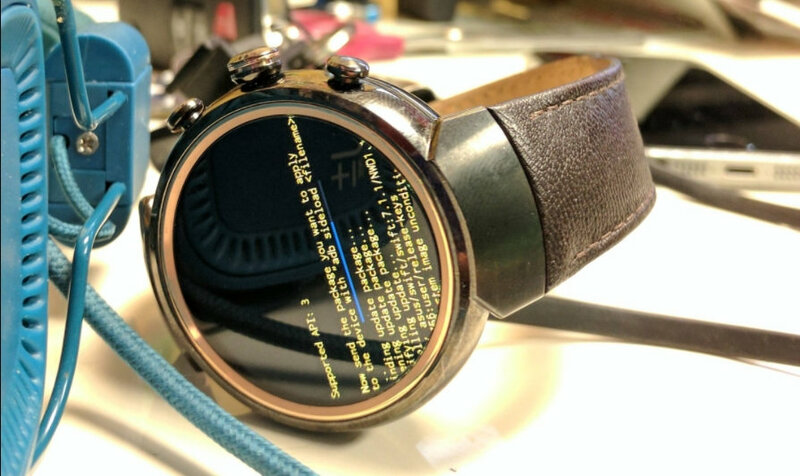 Step 3: Connect Android Wear to PC. Open a command prompt or terminal window on your PC where the OTA update zip is present. To do so, type cmd in address bar and hit Enter key. Step 4: Reboot your Android device into stock recovery mode. To do so, issue the following command through cmd or terminal. Step 5: Now once into recovery of your Android device, choose the option “apply update from ADB”.